I loooove this place! 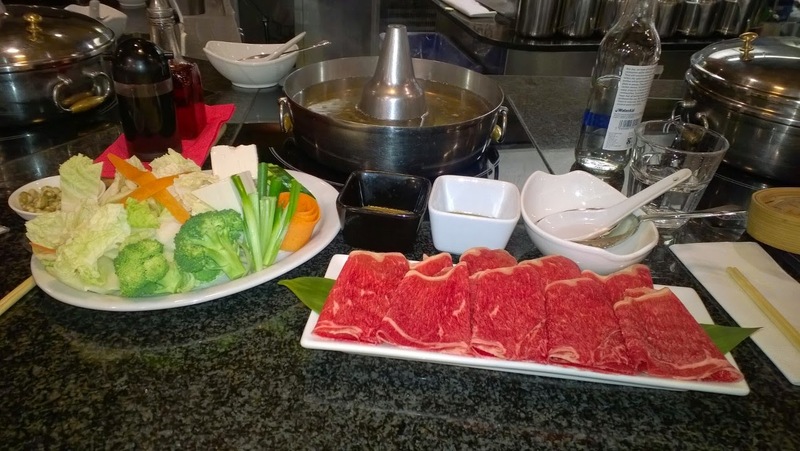 It's called Shabu Shabu, on the top floor of Whole Foods on Kensington High Street. 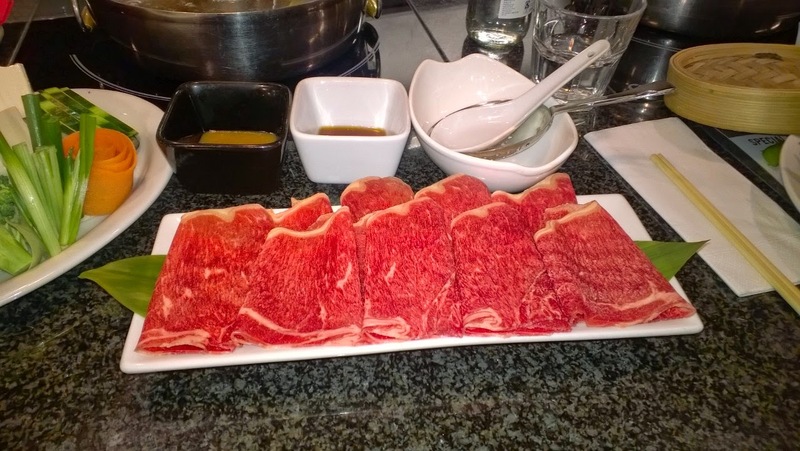 Shabu Shabu is a form of Japanese cuisine. Thinly sliced meat, shrimp or pork, are cooked on a live station in boiling broth along with udon noodles, tofu and vegetables. 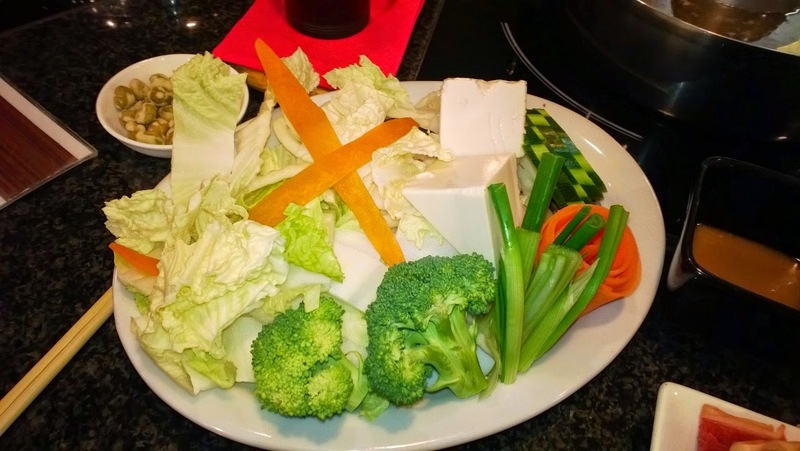 The waiter places a bowl of broth on a hot plate in front of you and brings the vegetables, noodles and meat in separate plates. Once the broth is boiling, you throw in the ingredients and when they’re cooked to your preference, you take them out, dip them in sauce (the ones available are tomato, dashi and soya) and eat immediately. If you don’t want to be hungry again an hour later, I suggest you order steamed rice as well.